According to the World Health Organisation, Sri Lanka has one of the world’s highest suicide rates, with a rate of 58.7 per 100,000 people for men. They also stated that 1 in 4 people have some type of mental illness or trauma, with only 20% receiving treatment. There is a huge lack of resources, as there are only 67 psychiatrists and 19 psychologists across the 20 million people who live in Sri Lanka. Sadly, like most countries the stigma attached to mental health is high, meaning that often people will not actively seek help. However, even those who wish to seek help struggle due to the uneven distribution of services throughout Sri Lanka. This shows how reliant Sri Lanka is on volunteers to provide the extra support and resources that they desperately need. Thus, I am raising money towards a 5-week volunteering placement, in Sri Lanka. This placement is with an NGO named SLV. 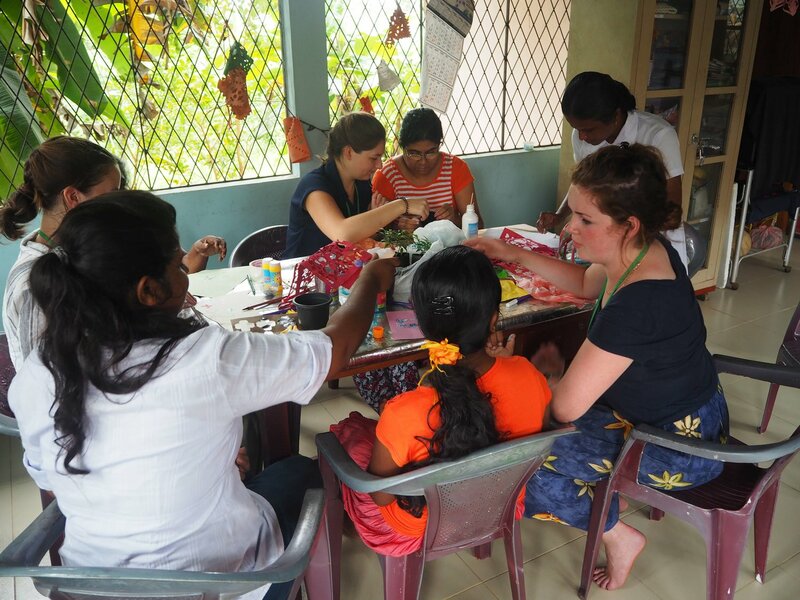 Global, which provides a unique experience where I can provide help, gaining valuable skills in mental health, whilst living with a Sri Lankan family. My name is Hazel Jackson and I am currently in my second year studying BSc Psychology at the University of Essex. I chose Psychology as a degree to further my passion for learning how to help people in need. I am currently a part of a voluntary support service on campus, which works to improve student well-being. But, I wanted to have more training and experience in mental health, which the University of Essex is currently unable to provide. Thus, I am embarking on a 5-week volunteering placement in Sri Lanka to achieve this. Whilst I am in Sri Lanka, I will be helping the mentally ill by promoting positive mental health, which will boost confidence, self-esteem and improve key life skills. For over 40 hours per week, I will be working with people from all ages, abilities and backgrounds. I will be creating activities to help teach English, encouraging children’s development in schools, working with those with special educational needs and running projects in the local community, such as meditation and yoga classes. In addition, I will have the opportunity to join a mental health practitioner for the day to experience first-hand mental health treatment and I will listen to talks from local practitioners on subjects such as addiction and trauma. Alongside this, I will be living and eating with a Sri Lankan family, providing an authentic experience. The placement fee includes: accommodation and meals with a Sri Lankan family, as well as training and talks from local mental health professionals. Any additionally funding will go towards transport to and from the projects on buses or tuk tuks. To thank you for donating to my project, I will be offering gifts in return. These can be viewed at the right-hand side of the screen. Your donation is greatly appreciated, no matter how large or small. If you are unable to donate, then please do share this page as it really helps to spread awareness and may reach others who are able to donate instead. Thank you for your donation! You will receive a message saying thank you through social media. I cannot thank you enough for your donation! You will receive a telephone call from me, where I will personally thank you, tell you all about the trip and have the opportunity to ask any questions.